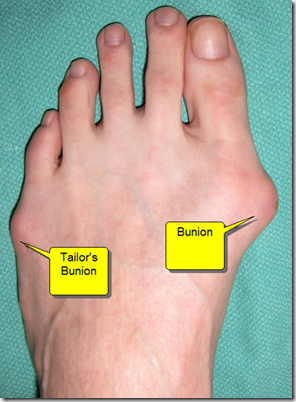 Bunions are also called “hallux abducto-valgus” in medical terms. Hallux refers to the great toe. Abducto-valgus refers to position of the great toe such that it points towards the other, lesser toes and is rotated. The bunion deformity consists of the movement of two bones at the great toe joint. 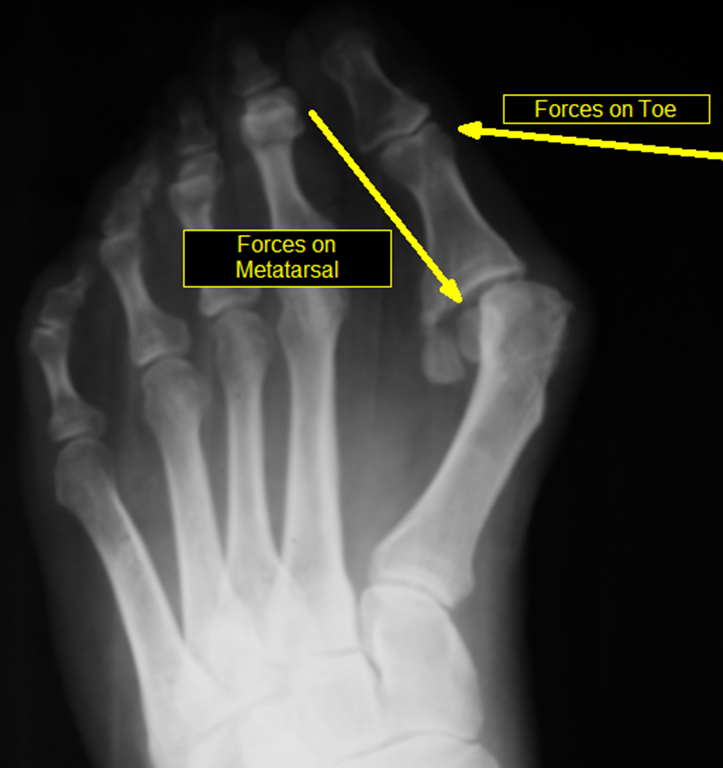 The further back bone, called the first metatarsal, moves toward the midline of the body and the toe bone, called the proximal phalanx, moves in the opposite direction toward the other toes. Bunions are mostly genetic. Very rarely, people are born with a bunion deformity called a juvenile bunion, but almost all bunions occur later in life due to forces on the foot. People who have arches that collapse or feet that flatten out get bunions. In that sense, people are born with the genetic predisposition to get bunions later in life rather than being born with a large bump sticking out of the side of the foot. People who get bunions have many different foot types. Some people have no arch when they’re standing or sitting. Other people have a normal arch that collapses to a flat arch. 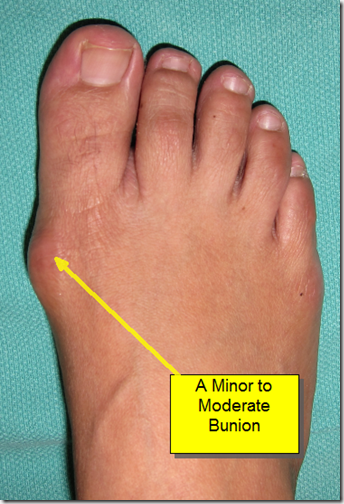 Even people with high arches that collapse to a more normal arch can get bunions. When the arch of the foot collapses, the force of the foot on the ground causes the great toe to decrease in its range of motion. This is called “functional hallux limitus”. This simply means that the great toe cannot move through its normal range of motion as you push off the ground. Obviously when you push off, the toe needs to move somewhere. When the great toe cannot move straight up, the foot turns more to the side and you roll off the inside of the foot and great toe. This creates a force pushing the toe toward the other toes. Slowly over time the great toe gets pushed toward the other toes which in turn, pushes the metatarsal in the opposite direction. 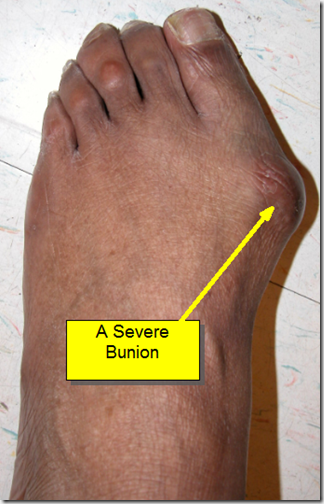 Symptoms of bunions: Some people can live with bunions for their entire life without having any pain. Many people experience pain with pressure from shoes due to the metatarsal bone sticking out. Other people experience severe pain in the joint with any range of motion. Many people report that they cannot find shoes to fit. Often people also report that their exercise and activity is limited due to the pain. Below is a picture of an x-ray of a foot with a bunion inside of a shoe. It clearly shows how a foot with a bunion fits in a shoe. This is a male patient. As you can imagine, Men’s shoes are much more forgiving than womens’. Notice how the shoe is the proper size / length but the foot is too wide for the shoe. 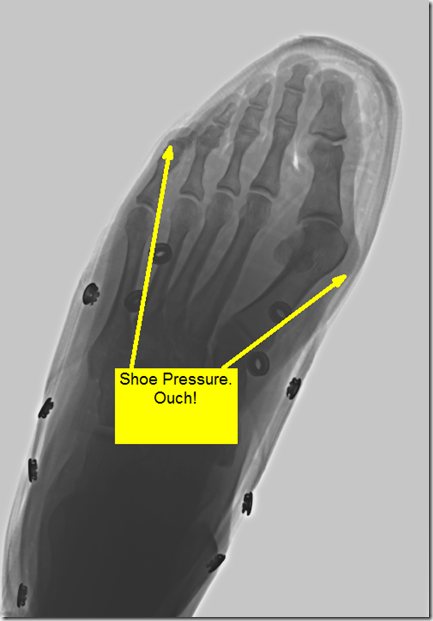 Not only does it put pressure on the great toe joint but also on the other side of the foot at the 5th toe. Cosmetics: Often people come into my office and report that aesthetics alone are the reason that they seek treatment for bunions. Many request that I perform cosmetic foot surgery for bunions. I often perform bunion surgery for cosmetic reasons alone, however, as an ethical physician, I have a lengthy discussion about this with patients: I describe to my patients that when a person comes in with a painful bunion and says they have a 6 or a 7/10 pain scale for example, I can do bunion surgery to make the foot look very nice and they may end up with a pain that is a 0 to 1/10. These people are very happy as their pain is significantly reduced and the foot looks much better. When a person comes in with a cosmetic complaint only about the bunion and a 0/10 on a pain scale, I warn them that they may have an occasional minor 1/10 pain after surgery. While there is a small chance of this, this is a concern. Due to the unique function of the foot in weight bearing, it is different than other cosmetic surgeries. In my experience, about fifty percent of these people proceed with the bunion surgery and fifty percent thank me for being honest and put it off for the future if and when they have pain. Conservative treatment of bunions: Unfortunately, there are not many options for conservative treatment for bunions. If caught early, orthotics (insoles in your shoes) can alleviate some of the forces that cause the bunions. While this will not remove the bump on the foot, it will slow down or stop the progression of the bunion due to the forces I described above. Other conservative treatment for bunions address the pain due to the deformity. This includes changing shoes in order to accommodate for the large bump, anti-inflammatories, icing, padding and shielding, cortisone-type injections into the joint, and occasionally physical therapy. Surgical treatment of bunions: I advised the patient that surgical treatment for bunions is necessary when the patient has pain that limits their ambulation, activity level and if they cannot wear the shoes they would like to wear. Surgery for bunions is elective. The patient chooses if and when they do it. Note: elective surgery is not the same as cosmetic surgery. Elective surgery is covered by insurance, cosmetic surgery is not. 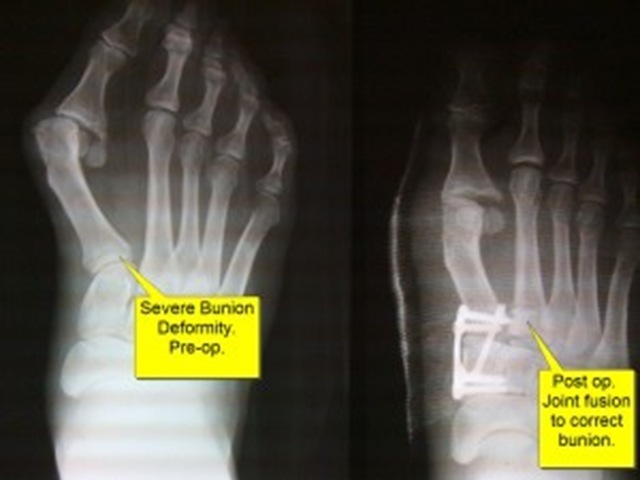 The bunion surgery is done as outpatient surgery meaning that patients do not stay overnight. The surgery is done either in a hospital or an outpatient surgery facility. An anesthesia doctor (anesthesiologist) Will give the patient an IV. The procedure is done under sedation. This means that patients will be asleep, however, they will be breathing on their own. This is not general anesthesia which requires a tube down the throat to assist in breathing. Patients are required to have an adult pick them up from the surgery to ensure they get home safely after the anesthesia. What to expect after bunion surgery: I almost always perform bunion surgery on Fridays. This allows the weekend for resting. I instruct patients that they must remain at home for Friday, Saturday and Sunday. (Walking to the bathroom and kitchen only). People that have desk jobs may do the surgery on a Friday and return to work on Monday, however, if they can take one week off of work I recommended it. People that have jobs that require them to be on their feet all of the time, I advised to take three to four weeks off of work. After the surgery patients will wear a surgical shoe or fracture brace for four weeks. Some patient have no pain at all and some patients have a lot of pain. Most people have moderate pain that is well controlled with the pain medicine that I prescribe. Note: there are surgical techniques that I employ that reduce the amount of postoperative pain. I also prescribe five days of antibiotics after the surgery to prevent infection. Patients must keep the foot dry for 10 days. I dispense a shower bag before the surgery. I will see patients once a week after the surgery until I feel that they are stable to start skipping weeks. I usually do the first visit on the Wednesday after the Friday of surgery. At this time I inspect the foot to make sure there are no problems. I will take an x-ray and usually wrap the foot in a soft cast. They return the following Wednesday, 10 days after surgery. At this time I usually let them get their feet wet and rewrap the foot themselves. After spending four weeks in the surgical shoe or the fracture brace I allow patients to start wearing loose-fitting shoes or open shoes in the warmer weather. At this time they may start to increase their walking a bit. I advise them that they will most likely not be doing exercise until six to eight weeks after surgery. Initial exercise includes walking and using a stationary bike. After eight to ten weeks they may start to do an elliptical machine or more weight bearing exercises. At eight weeks, I advise them that they may start using any shoe that they fit into. Below are just a couple of examples of before and after pictures of bunion surgery. The first example of before and after pictures of bunion surgery are of a severe bunion. The after picture is at only three months. 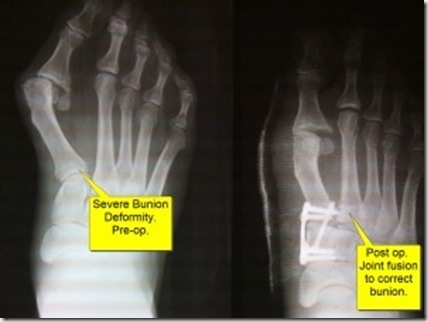 This patient’s x-rays are show below before and after bunion surgery. Below: Another bunion surgery before and after pictures. The after pictures are 4 years after surgery. This patient had both of her feet done. Bunion Surgery NYC – Video that explains bunion surgery in layman’s terms. 211 Responses to Bunion Surgery Including before and after pictures of bunion surgery. if you are not fully grown, is it smart to have surgery? does that have major consequences? Hi esmee, without know the exact circumstances I can’t give a definite answer to your question, however, generally, I prefer to wait until skeletal maturity before foot surgery if it can wait. Skeletal maturity means when your bones have stopped growing and the growth plates have fused. The growth plates are the areas where the bones grow from. Different bones stop growing at different ages as we develop. An x-ray will confirm when the bones have stopped growing. First I would like to congratulate you on a very professional and very complete website. I noticed in the “after” photos that the big toe is still leaning towards the smaller toes. Is there a way make the big toe go back to the original straight position? Hi Dalia, thanks for the nice comments about my site. Several years ago (at least 9), I was told that I had bunions on both feet (by a podiatrist). I was fitted with orthotics that now hurt my legs (similar to shin splints) and feet when I place them in my shoes. I am also experiencing pain in my toes when I walk and bend them. Should I seek further info. about possible surgery? With out a proper consultation and examination it’s hard for me to answer your questions. In general, custom orthotics last about two years minimum but often much longer than that. People come in and I evaluate if their orthotics are good or need to be replaced based on how the materials have held up and if the foot changes slightly. Ironically, orthotics are a big part of the treatment for shin splints but yours may be causing them. I’ve seen this happen and an orthotic adjustment or replacement often fixes this problem. I’d recommend seeing a podiatrist. Bring your old orthotics to your visit. this is very interesting. i had thought only i had this bone protruding. Just wanted to enquire that if i send you a picture of my foot can you tell me if i suffer from Bunion. Tha will help a lot to take action immeditely. i am 45 yrs of age. Sorry for the long time to reply. Sure, you can send a picture and I’ll evaluate. I had a bunion on the side of my big toe for about 3 months now. I believe it is due to my severe flat feet. It would hurt sometimes with pressure from certain shoes that I wore. Recently(this morning), I woke up & noticed a knot(bump) on the top of my foot. It looks as if the joint is connected to that big toe. I feel pain from this bump on my foot when walking. That is with & without shoes on my feet. Is there anything I can do to eleviate this pain without having surgery? I read something about icing the ganglion. My bunion is a minor one. does minor ones grow into severe ones during a course of time? Your article was very helpful & very informative. Thank you so much for your pics & detailed explanations on this subject. Due to your effectual description, I was able to identify the type of bunion that I had & options as oppposed to surgery. This was AWESOME!! Thanks Dr. Silverberg. You are the best! Thanks for the feedback. I’m glad my writings have been informative and helpful. 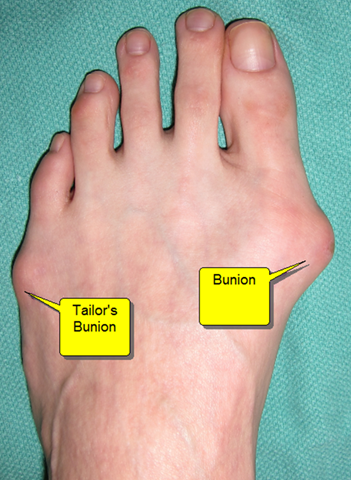 Many times patients do have ganglions at the big toe joint which look like bunions. Many have ganglions due to the bunion rubbing on the shoe and they make the bunion look much larger. Often I aspirate (pull out fluid) from the ganglion and inject a little steroid and the pain goes away for a long time or forever, thus, avoiding the need for surgery. Good luck, and thanks for your taking the time to comment. I have bunions and have had since birth. I am 55 years old now. I am thinking seriously about having both my feet corrected. I am getting ready to see a dr. Should I see a neurosurgeron or a orthopedic doctor? Do you know of any in the Winston-Salem, Greensboro or High Point, North Carolina area you would recommend? It would really help me out alot? A podiatrist that does bunion surgery will most likely be the best idea as podiatric surgeons specialize in just foot surgery. Neurosurgeons do not do this type of surgery. If you choose an orthopedic surgeon make sure it is one that does ONLY foot and ankle surgery. I only know one of my classmates that practices in NC but I’m not sure how far from you he is. His name is Patrick Dougherty, DPM. He’s a good doctor and good foot surgeon. Let me preface this by first stating that I personally do not do surgery on children so I do not claim to be an expert on that subject (Disclaimer). Like you stated I do recommend waiting until the bones are fully grown (growth plates have fused) if the symptoms are not terrible. From your brief description of “severe pain and cannot wear shoes” it sounds like the symptoms may justify foot surgery at this time. I would highly recommend seeking out a podiatrist or orthopedist that has a lot of experience with foot surgery on children. It is very important to have good operative technique in order to avoid disrupting the growth plates. Bunion surgery on children can be done and is often very sucessful in alleviating syptoms when performed by the right surgeon. As for RSD and CRPS, these chronic pain conditions can happen to anyone and no one know why or when it will occur. It can occur from anything from a small injury to a major surgery. In other words, it is a risk every single patient takes when having surgery. It is a rare complication but it is terrible when it happens. Early detection and treatment help reduce the likelihood of chronic pain. I have bunions on both feet and was wondering if it is possible to do both feet at once or how long you have to wait inbetween. Also I do alot of packpacking and running (with pain) will it be possible to still do this sometime after the surgery? Hi Kathy, thanks for posting your question. I rarely do both bunion surgery on both feet in the same operation. I will only usually do bunion surgery on both feet at the same time if the patient agrees to stay off their feet completely for 3-4 weeks. This is rarely possible. Often, I will do bunion surgery two weeks apart on both feet. This allows two weeks for the patient to weight-bear on the good foot prior to doing surgery on the second foot. often, I will do them 4-6 weeks apart however this will increase the recovery time as it overlaps for the previous way. I tell most patients that they are able to start running and backpacking 3-4 months after bunion surgery. For some it that may be less and for some it may be slightly more. Hope this helps. Dr. S.
Hi Alisha, It takes many years for bunions to form and after surgery it also takes many years if they are going to come back. Most times they do not come back but it is a possibility. Unfortunately, the forces that cause bunions will still be there after your surgery so it is important to address these in order to prevent recurrence. Wearing the right shoes and using orthotics in your shoes will prevent it from returning. I do make orthotics to fit in heels and women’s “cute shoes”. I have been suffering from bunions since I was in my early 20’s and know I am 35 and can really notice the progression and the pain is worse. I am considering surgery. Your website is so informative and thurough. I am from Northern California, can you suggest someone that is reputable and knowledgeable in bunions? Thanks for the kind words about my site. Unfortunately, I do not know any podiatrists in No Cal. However, feel free to email me any questions about your surgery in the future. I am 53 years old and a second grade teacher. I am on my feet a great deal. The pain I feel from my bunion comes and goes. I have been going to Jazzercise aerobics more now that school is out for the summer and my pain seems to be increasing. Is there a certain brand of fitness shoe you recommend? I have been wearing Ryka and they seem to be very comfortable. Also, for how long does the pain last in general after surgery? Could it be managed with Advil? I am hesitant to have surgery because of the post operative pain I’ve heard of….Thank you so much for your professional advice and opinions! Hi Teri, Thanks for the comment…. To answer your questions: I usually recommend New Balance. Most of my patients do very well with them. They are really made well and come in different widths. Visit a good running or outdoors store that has sales people who know what they are doing when they measure you. Often, my patients have little to no pain after surgery but not all the time. Some say that the pain is bad the first 1-2 days and then gets better. I use a cold compression ice machine that really helps reduce postoperative pain. Also, as I write in my blog, there are certain tissue handling procedures that I implement in surgery that lessen the pain. I always prescribe a narcotic (vicodin usually) for pain after surgery. Advil is enough for mild pain, but the Vicodin really helps with anything more. Don’t be afraid of narcotic pain killers, they are your friend when used responsibly. Hope this helps, Dr. S.
best article i have read ! good to be able to see before and after pictures and get realistic advice as to when op is needed and what recovery will entail. What do you think of the products such as splints and toe separators etc that claim to be able to ‘correct’ a bunion? Is there any point in trying them or will my minor bunion just get progressively worse anyway. Unfortunately, those devices do not work. 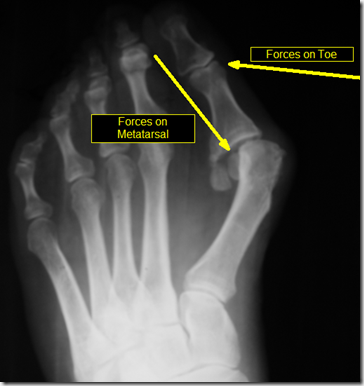 It takes many years of forces to move the metatarsal bone that causes bunions very slowly. These forces are the full weight of your body in motion. The force that a splint provides is just not enough to move the bones. The only way to slow down or stop the progression of a bunion is with orthotics (shoe inserts). For some people a device you can buy in the store works, but a custom molded orthotic made by your podiatrist to the exact shape of your foot will always be the best thing. Hope this helps, Dr. S.
If one is to have a bunion surgery (for a mild bunion) and great recovery, how long after can regular shoes (dress shoes be worn) and how often? Hi Cassandra, I tell my patients that they will be in a surgery boot (cam walker) for four weeks, then loose fitting shoes for up to four weeks, and then more regular shoes after that. just wanted to let you know that I have decided to have surgery on my bunions. My first surgery is scheduled for July 27. I can’t wait to get both of them done. It’s something I have been waiting my whole life to see. Hi Susan, I hope you have a good surgical outcome and experience after waiting so long. Did you end up going to Dr. Dougherty? your post is one of the most recent that i have found since their is so much new technolgy in surgeries now a days could you let us know how your surgery was and what kinda of surgery did they do if they put in a cast, special shoe if you could start walking right away or if your on crutches or walker and how long. How long is recovery expected how long will you be out of work. Most of the time with bunion surgery, patients are in a shoe or boot for four weeks. Depending on which procedure you have, the return to activity varies. Many people are back to work in 3-7 days and running in 3-4 months. Hope this helps. For more specific questions feel free to post them here. THANK YOU for this information. Your site is one of the best I’ve found yet. My surgery is scheduled in Memphis on July 26. We sure appreciate you and I love the way you explain things!! Hi Pam, thank you very much for the nice feedback. I’m so glad my article was helpful. Just to let everyone know firstly I live in Dubai, United Arab Emirates (Australian Citizen) and I have just had both feet done at once with a fab doctor who I would totally recommend; he is on the European Board. We had a few meetings beforehand to ensure all was good and I knew all the facts and then went in the day before to meet with the operating team and get my blood work done. They also felt it’s best to stay overnight, which I totally agree with and did as the first night, to be honest is very painfull (sorry just being honest), especially if you get both feet done as I did. The staff are there to help with getting you to the toilet as well as making you as comfy as possible including pain killers, so personally I would say if you have an option to stay overnight, all the better, I was ready to stay another!!! Personally I would say if you don’t have a very good husband who can take a few weeks off work to look after you and the family (or a family member) then get one foot done at a time.. I am lucky enough so I had both done at once and I am so very happy.. I did have to take time off work as well…. I am 39 soon and have lived with bad bunions for many many years to the point I couldn’t even do 5 minutes on the treadmill so happy days moving ahead hopefully. After many years of “do I” “don’t I” I’m glad I have gone ahead with it and totally recommend the surgery, the pain is worth it!!.. Good luck to all and happy speedy recoveries..
First of all, very nice page. I like that it’s so detailed and includes pictures. I recently had surgery that was just to shave the bone. My bunion was minor but I couldn’t wear flats because the bone would cause pain after only a few hours of wearing those types of shoes. Since I am a teacher, I made the decision of having both done at the same time especially since I had the entire summer to recover. My procedure was simple. According to the xrays the bones of my foot were straight so the only problem I had was that bony part portruding, which couldnt be seen to much in the xrays. I’m a month in recovery now and already walking. However I do notice that my foot still have a small bump where I had my bunion. Is this normal? I do have skinny feet but it seems like the bony part is still there but a tad bit smaller. Since it’s only been a month after surgery, I’d guess that the area is still sticking out due to scar tissue, called induration. I tell people that the induration takes 6-12 months to go away completely. Hello, my name is nicole and i am 30 yrs old. I have a bunion on my right foot. I only have pain when i walk and my toe pulls upward. Ive had mine since high school and recently i feel this pain. The pain isnt all the time but once in a while and at times when i drive or sometimes i get a sharp pain when i am laying down. It feels like i have pinched a nerve. I believe it is genetic. Am i old enough to have a surgery like this ? I also would like to thank u for your before and after pictures, i never knew what this was until know and i thank u for all the imformation you provide on your website. People that are your age and younger often have bunion surgery but without examining and evaluating you, I can not make the determination if you should have surgery or not. I tell patients not to have foot surgery for cosmetic reasons alone. I advise them to consider surgery when either you have pain with normal activities, pain limits your desired activities or you cannot wear the shoes you want to wear. Very informative. Thank you for posting the pictures of before and after. My surgery is scheduled for 9/2. You don’t mention physical therapy. A friend of mine swears by the physical therapy she had and I am going to request my doctor to prescribe it. She feels she would not have the flexion she now has without it. What are your thoughts? Not everyone needs physical therapy after bunion surgery but it definitely helps those who do. I send about 30% of my patients for therapy after bunion surgery. I prescribed physical therapy when the great toe is still stiff after 8-10 weeks or more. I hope I’m using your “forum” properly. This is the very finest and comprehensive (for lay-persons) informational site I’ve found! I have a question which I haven’t seen addressed with much info on positve outcomes. I’m from central Maine, just fyi. On 2/19/2011 I had bunion surgery for both a large bunion and a tailor’s bunion on the same foot. The outcome is VERY disappointing! I have a lot of pain on the outside bottom of my foot as well as the large toe it’s-self. The deformaty is as bad or worse than before surgery. The surgeon has said he will “make it right” but I fear going back to him and perhaps ending up worse than now. Is it possible to have a complete revision in this scenario? I have screws in both the Tailor bunion site as well as the large toe. I am 71 years old, very healthy and WAS very active. I still am somewhat but with lots of pain. I would so appreciate any info you might give. Thank you. Btw: thanks for the nice comments on my site. What a great site. Thanks for all the information. My situation is I am a 52 y.o. female who had bunion surgery 25 years ago. Over the past few years I have developed a bump which seems to be getting bigger on top of my foot where the screw from my surgery was (it was removed). Have you heard of this? It’s getting to be as big as the bunion was and is really starting to hurt. Any advice you can give is appreciated. Thanks! Without seeing X-rays I can’t be sure, but it sounds like you have a bone spur. It most likely has nothing to do with he screw. Usually they occur with limited joint range of motion and arthritis progression. Go to your podiatrist for an X-ray. Thanks so much for your response. I did follow up with my podiatrist and had x-ray and scan. You are right it’s not related to bunion surgery – I just thought it was. Anyway I am learning to live with it with comfortable shoes. Thanks so much for providing this site and responding to everyone’s questions! im only young, VERY young and i was informed about me needing an opperation when im 14, im scared about my bunion operation, should i be scared, and how long does it take to recover roughly? I’d recommend waiting until youre older for sugery if your bunions are not hurting. To answer your questions about recovery read the blog post you just commented on and watch my video on bunions. I’m 17 years old and both my parents have bunions. My dad got his when he was very young and my mom’s just developed. A few weeks ago I started having intense pain on my right foot right at the joint where the big toe and the foot meet. It hurts to walk, and the joint is protruding slightly, I am almost 100% sure its a bunion. I am going to a podiatrist soon, but if he or she offers a conservative option should I insist on surgery? It really hurts and I am a girl, I cant have deformed feet!! If I wait, will it get worse and more deformed? thank you so much for this website!! If you have a very small bunion and it is getting very painful, I would try all conservative treatment before surgery. Often, painful bunions are caused by acute inflammation in the joint and some anti-inflammatories can get rid of the pain. I often inject small bunions that are painful with great success. Many people get long term or permanent relief from these injections and occasionally from anti-inflammatory pills. At your age, your bunion may come back in the future as you have so many years of walking ahead of you. The best treatment to prevent your bunions from getting worse is orthotics in your shoes to prevent the forces that cause bunions. Orthotics can be made to fit into your ‘cute shoes’ and other ones for your comfortable shoes. Ask your podiatrist about “teardrop shaped orthotics”. I often make these for heels and smaller shoes. Ask him/her about this orthotic with an “extrinsic rear-foot post”. Good luck. I hope this helps. Dr. S.
First, let me say you have a very nice blog/site, and I enjoyed reading all the posts and replies. I recently (Sept 30) had surgery (exostectomy and osteotomy) and the first week post-op was fine (moderate pain the first evening but then not too bad). Since the second week, however, I’ve been experiencing intermittent burning/stabbing pain in the big toe. I realize permanent nerve damage is a possible risk from the surgery, but might this be temporary pain due to nerve regeneration? Any information you can provide is appreciated! Hi Vickie, Thanks for the nice words about my podiatry blog. Most people have the greatest amount of postoperative pain during the first three days postop but I have had patients report that the pain increase at various times throughout the recovery process. I would say it is normal to have postoperative pain for up to four weeks but at that point the pain should be starting to decrease. Normally, patients have some pain after surgery that gets less as time goes on, meaning less intense and less frequent. Permanent ‘nerve damage’ after surgery is an infrequent problem / complication. I’ve had patients tell me that they had numbness and tingling near the surgical site for months after surgery but it usually goes away before 6 months and occasionally up to a year after surgery. I hope this helps, Dr. S.
hi i have 2 bunions one on the side of my big toe and one on the side of my small toe the big toe is push on the other toe now i have a hamper toe i hate pain and scares any other way to do this it sounds and looks very sores and big scares please help me thank u ! p.s. will i still fit in my shoes after the surgical. It sounds like you have bunions, tailor’s bunion and hammertoes. Unfortunately, the only way to get rid of these problems is through surgery. Non-surgical treatment only treats the pain with anti-inflammatory medication (pills), anti-inflammatory injections (steroid – cortisone type), and orthotics that go in your shoes to support your arch and decrease the forces that move your bones to become bunions and hammertoes. Surgery should be reserved for people that have pain, cannot perform their usual activities comfortably and can’t fit in shoes. I sometimes do cosmetic foot surgery for people without pain, but I warn them of the possible complications following any surgery prior. Most patients fit into the same size shoe they were wearing pre-operatively, and often report they fit much better after the bones are corrected. Not sure if you are still taking question/comments but I’ll go ahead anyway…first of all, thank you very much for your article and taking the time to respond to everyone’s comments. I have found this website and especially this “forum” extremely useful. I am considering surgery on a mild / moderate bunion I have on my left foot which has recently caused me a little pain but nothing terrible. The reason I am considering surgery at this stage is because I understand that bunions can only get progressively worse. It has also started affecting my second toe, causing it to lean inwards. If I have surgery, would it be possible to straighten this at the same time and are the recoveries for the bunion and second toe the same? Finally, my major concern is whether I will be able to wear stilleto heels again after surgery. You mentioned that bad shoes such as high heels may cause the bunion to return after surgery but would this be the case if the surgery involved resetting the bone into a new position (as opposed to just shaving it off)? Thanks again for your valuable time. Hi Linda, I’m glad you liked my bunion explanation article. To answer your questions in order… Yes, your podiatrist (I guess orthopedist in Great Britain) can straighten your second toe at the same time as your bunion and it does not add any time to your recovery. Recovery will be the same for bunion alone versus bunion and hammertoe correction. When people have just a minor amount of pain it’s hard to say when they should have foot surgery. On one hand, it is good to get it done before there is too much arthritis and it makes the surgery more difficult, but on the other hand, there is no rush to have surgery because the arthritis progresses very slowly. Having foot surgery too young often leads to having to repeat the surgery in the future so the main decision is whether the patient is in pain or not. No pain, I say don’t do surgery usually unless fitting shoes is an issue. Some pain, then it depends on each individual case of how bad the deformity is. Sometimes it’s a very hard call to make. As for returning to stilleto heels, that’s even a harder question w/o seeing and examining you. Ill just tell you my experience. Many patients do return to high heel shoes after foot surgery. Some tell me that they have less pain in heels than they had prior to surgery. Some say that they cannot wear the heels for long periods of time without pain, but that was the case before surgery too. Heels by themselves do not cause bunions, but in the person that is genetically predisposed to have bunions, high heels lead to a faster progression of the bunion. I have a med. size bunion on my left foot. Yes I am very flat footed (fallen arches ). If the podiatrist I go to tells me he does it with local anesthia would it be realalistic to ask if I can have the IV kind you describe? What should I say so he’ll understand what kind you are refering to? I am too scared to do this with local only. Does all Podiatrist Surgeons that do this know how to do it each way? Thanks for you answers to all the quetions, you are awesome to help so many folks. Also if I do have a desk job but I have to do fairly regular walking during the day to retrieve paperwork is this possible or should I just plan to be off? What do you reccomend. Again Thanks so Much!!! Hi Sharon, Thanks for the comment on the blog. Almost all doctors offer IV sedation when doing bunion surgery. This kind of anesthesia has a few names: IV Sedation, Conscious Sedation, Monitored Anesthesia Care (M.A.C. ), and the layperson’s name for the same thing is “twilight sleep” (not sure why). I highly recommend this kind of anesthesia over local alone (called “Straight Local”). During the surgery you have a tourniquet (Like a blood pressure cuff but much tighter and larger) around your ankle to stop the bleeding. It can get very uncomfortable when on for a long period time if you’re awake for your bunion surgery. Also, we cut the bone with a saw and when awake, the vibrations can be uncomfortable. In my opinion, if your doctor does not offer IV sedation, look for another doctor. Also, this surgery really should be performed in a surgical center or hospital and not in the doctor’s office. If he/she does all of their surgery in the office I’d consider a different surgeon too. I am about to post a blog on a comparison of office surgery versus hospital and surgery center surgery. Stay tuned. I hope this helps and wish you the best with your bunion surgery. 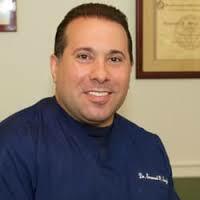 Dr. S.
I had hammertoe surgery on toes 2, 3, 4, 5 (bone removed) and a tailor’s bunion with no pins on November 3, 2011. Periodically throughout the day by toes become numb (sort of like my toes have fallen asleep. Usually toes 2 & 3) and I feel a slight burning sensation on my incisions. I had my redressing this past Monday, November 7th and PT said everything seems well. Is this normal what I am experiencing? How long should I expect numbness? Does the burning sensation mean it’s healing? I have been elevating and icing a lot and staying off the ground as much as possible. I am a healthy 28 year old female. It’s normal to have pain, numbness, throbbing, burning etc. just 7 days after surgery. Most numbness goes away after the first 1-4 weeks. It could last longer as the scar tissue (called induration) puts pressure on the nerves. It take up to a full year for the induration to resolve so in rare circumstances the numbness can last that long. Also, rarely, tiny nerves injured during surgery can cause permanent numbness but this is more of a complication rather than a usual thing. It is a really good thing that you say periodically they get numb. If nerves were cut it would be constant, not periodically. Staying off your foot and icing are the best things you can do right now, keep it up. Thanks for your speedy response Dr. Silver! Did I mention that I love your blog! It contains so much information. I am very happy I found it…. Thanks for the nice comments Dulcibella. I enjoy writing my podiatry blog. Every day I get hundreds of hits from around the world. It’s fun for me to see so many people reading my posts. Post op and have had the stitches removed. Tonight while I was trying to sleep I noticed I couldn’t due to intense stabbing and burning sensations on my foot. The feeling is lasting for hours and i want to know how I can make it go away. I’m very concerned that something may be wrong. What is this pain coming from? Everything was fine until tonight. Hi Natalia, Usually the pain slowly gets less and less as time goes on after hammertoe surgery. It’s a bit unusual to have intense pain come on all of a sudden 2 weeks after hammertoe surgery, but sometimes these things happen without complications. If you were my patient, I would instruct you come to my office to examine you and investigate where the pain is coming from. I’d make sure there were no infection, no wound dehiscense (wound opening up), no suture reaction (allergy or response to the stitches that dissolve inside), or any other complication of foot surgery. Chances are there is nothing wrong but you should have it looked at by your podiatrist just to be safe. I find that often, once the foot starts feeling better, patients start to increase their activity which, in turn, makes it start feeling worse again. I hope this helps. Dr. S.
Thank you ever so for you blog article.Really thank you! Want more…. Please visist my blog and share your thoughts on my progress. If no pins were used, how are my bones fussing? Without seeing x-rays, I can’t answer your question about the bones fusing. There may be buried implants within the toe that I cant see. Also, the picture on you last post is a bit dark. It’s hard to see how you’re healing. Your site is very informative and it has helped me to elect surgery. I am 26 years old and live in Auburn, Alabama. I already had a podiatrist tell me I am a candidate for bunion surgery. The pain is now keeping me from running. Do you have any contacts in the Alabama or Georgia region who you would recommend to perform my surgery? Hi Danielle, I’m sorry but I do not know anyone in Alabama or Georgia. The best advice I can give is get a recommendation from your family doctor or friends, then look up those doctors on https://www.RateMD.com and https://maps.google.com. I’m glad you enjoyed reading my post about bunions and it was helpful! I had both my bunions removed about 9 years ago. I was 17 years old then. My feet are still very flat, and not tremendously cosmetically improved…perhaps working on my feet in various service-industry positions has exacerbated this. About 4 years ago i got my foot caught up in the spokes of a bicycle and injured it, it seemed to heal well but basically since then I have been experiencing intermittent swelling/pain in the area where the screws are placed in that foot. In recent months it has become a constant source of pain and irritation, and is bruised and swollen looking in that area, not bad enough to be too concerned until this week. I saw my original podiatrist a few years ago for this problem, and he told me to soak my foot in epsom salts and dismissed me. Im wondering if I need to have the screws removed? I dont have health insurance so any procedure of that magnitude would be a big decision. Or perhaps is there something I can do to lessen this problem? I have been living with it so long I have come to think of it as my “bad foot”, but would rather not resign myself to that. Any info you might have would help, thanks so much for keeping such a comprehensive and helpful forum. Hi, I’m sorry to hear you’re in pain from your injury. Without examining you and seeing x-rays there’s not much I can offer you, unfortunately. My first impression is that the screws are unrelated to the pain most likely. Usually, the screws are deep inside the bone and do not move, and do not need to come out. It is unlikely, but possible your injury with the bicycle fractured the bone near the screws, but other than that I don’t think the screws are related to the pain. Get your foot examined and even possibly an MRI of the foot to examine for any soft tissue injury such as tendons or ligaments. Doctor, I enjoyed reading your blog very much. I had my sright foot done about ten days ago in Westchester County, and you seem right up to par with your experience and knowledge, and not to far from my office in the city or I would have def consulted with you as well. Nice to see doctors who care! Really nice. I had a akin and chevron procedure. My doc likes to keep me on crutches for a few weeks. I had the same procedure on my left foot two years ago, and I am pain free and foot cosmetically even looks great 🙂 Great site you have hear, good luck, much sucess and happy feet. Hi Rosa, thank you for your comments. I am happy feel he had such success with both surgeries. Dr. S.
I totally understand your thoughts. I assure you that all of those reviews are real. Just like my ethics in practice, I have ethics in my marketing. All I can suggest is come meet me and see why I get such glowing reviews. I am good at what I do. I am nice and humble with a great bedside manner and have not let my success go to my head. I respect my patients and take pride in my work. I believe it is a privilege that complete strangers come to me and trust me from day one. I never take advantage of that privilege. I agree with your bell curve theory. I assure you all the reviews are real. I do have one bad review on Yelp and I welcome you and anyone else to read it along with my reply to the patient. I’m ethical in my practice and my marketing. I know other doctors (and businesses) have fake reviews. I’m skeptical of them too. Dr. Silver-Awesome article. Impressed with your before and after pics. Would consider coming to NY. I am thinking of having bunion surgery. Actually, need the surgery on both feet. The right food is the most painful. I work as a RN in surgery. I am a circulating nurse on the heart team and can not take a lot of time off for recovery. Can a closed toe post op shoe be worn after a couple of weeks in the recovery period? What about high heels. Will I be able to wear my high heels again? Thanks for the kind comments. People with jobs like yours that require standing or walking at work usually take three to four weeks off of work after bunion surgery. I like my postop patients to wear a cam walker for four weeks after surgery. Most patients actually prefer the cam walker to a surgical shoe despite it being much larger and heavier because it provides more support. Most patients are back in high heels after three months. Bunions should not come back after years, let alone mounts after surgery. If it came back that fast its possible you had a complication where the bond did not heal properly. You should have a podiatrist take X-rays to reevaluate. Maybe see a new doctor for another opinion. Good luck. Since you’re still writting on this page after so long, it’s my turn asking you something… But first, thank you for this very good blog and please forgive my English, I’m a french speaking girl, leaving in Switzerland. I’m 21 and will be operated (both feet at once) on April 17th because of tailor’s bunions. The surgeon told me I’ll have to wear post-op shoes for about 6 weeks and will be able to walk from day one without crutches. I’m a student and won’t be able to stay at home for more than a few days. I need to walk 5-10 minutes to go to University and some classes require that I stand for a while. Do you think using crutches could help since I’ll have both feet operated? It depends on which procedure your doctor is planning on doing. When tailors bunions require an osteotomy, cutting and moving bones and fixing with screws, I don’t recommend doing both at once. If its just shaving off bone, an exosteotomy procedure, I sometimes do both at once. Even with crutches it’s hard to weight bear when you have bilateral osteotomies. If you insist on doing both at once, then yes, crutches are better than without crutches. Hello!! i must say that the pictures of the bunion surgeries are reassuring. I cancelled my bunion surgery for tommorrow. i am 38 and have a medium sized bunion on my left foot that gives me grief only in certain shoes. the procedure is the chevron-akin. i was afraid of general anesthesia. the surgeon here in flint, michigan told me that she only will do it under general. i also didnt try any conservative options until one week ago. i purchased dr scholls bunion cushions and toe spacers. what do you recommend for conservative treatment. I’m so afraid of surgery. The best non surgical treatment is wearing custom orthotics to alleviate some of the forces that caused the bunion to form. Other non surgical treatments only address the symptoms such as antiinflammatory medicines and physical therapy. These are usually temporary treatments. Padding and shields help to alleviate the symptoms but do not get rid of the bunion. Bunion splints never work to reduce or remove the bunion. I had a lapidus bunionectomy on my left foot three years ago. After the procedure, I had excruciating nerve pain and was on Lyrica for a year after. I am off the Lyrica but still have numbness and occasional burning in the tips of my toes. My right foot also has a severe bunion that is quite painful and getting progressively larger. Finding shoes that fit is not easy. I want to have my right foot corrected surgically but am terrified of the nerve damage. Are there any surgical techniques that can lessen the chance of nerve damage? My former surgeon told me getting an epidural prior to surgery could prevent nerve damage. Is this true? I am also curious about the tightrope procedure that has a much less lengthy recovery time. Do you find it to be effective? I would also be interested in learning about options for my left foot that I have had surgery on already. I still have a thick callous on the front part of the bottom of my foot that becomes very sore during exercise. Sorry to hear about your nerve pain. Unfortunately nerve complications can occur with any surgery. Any bunion procedure has similar risks of nerve problems. I have not done any tightrope procedures. I’ve heard too many case studies where they have failed and no success stories. Honestly, the whole procedure makes no sense to me. I can’t imagine the first metataral moving laterally and the second metataral not moving medial or fracturing. The first is so much larger and more stable than the smaller second. I’ve had patients come see me to fix the complications from this procedure that other docs have done. Unfortunately, there is nothing one can do to get rid of bunions once they have formed other than bunion surgery. What is the difference between using a screw to repair the bunion and the staples!? Witch one is better ? I prefer screws in almost all procedures but it really is the surgeons preference. Hi Dr. Silver. I am almost five weeks post op from my bunion surgery. Still non-weight bearing for another two weeks. Is it normal for the foot and lower leg area still to turn purplish/blue when I stand? If so, why does this happen and how long can I expect this to continue? No pain involved really, just a pressure in these areas when I stand and the discoloration occurs. Thank you in advance! Ask your doctor about checking you for venous insufficiency or lymph insufficiency. When there is more fluid Tavel,ING into your leg and foot from postoperative inflammation, it is harder for the fluid to get out of the leg against gravity. Try some compressive socks too. I’ve had patients with complications of numbness and strange nerve related sensations after surgery. Unfotunately, this is a risk with any surgery. Tiny nerves can get cut. Sometimes treatment can be helpful. These include: external nerve stimulators, steroid injection, radiofrequency ablation, and medicines. I has my bunion remeved Feb 17th and although the swelling has almost gone my big toe is still numb,how long will it take before I can feel it again? Thank you for your info on how long to wait before doing Zumba again? When we cut through tiny nerves it can take 6-12 months for the sensation to come back and occasionally it is permanent. I’ve had patients tell me that the sensation returns after a year or a few years sometimes. I am 53 years old and have a moderate bunion. I guess it runs in the family since my mother has one too. I am not in any pain but I do notice that it has gotten worse during the past 2 years. My little toe is starting to go under my fourth toe. If I start using orthotics now, can this definitely help me from getting worse? I really don’t want the surgery but I’m debating if waiting will make my feet more deformed and the surgery more complicated. I recently wrote a blog on when to have surgery even if you have no pain. The orthotics will help slow down the bunion and hammertoes from getting worse. I’ve had a bunion for over 40 years, that doesn’t seem to have changed much, but I’m thinking of having it removed as the middle joint in the toe next to it has swollen and become sore. Is there any special concern about having such an old bunion repaired? The most important answer to your question is to make sure you are healthy for the anesthesia. Be sure to have your surgery done in a hospital or out patient surgery center, not in the doctor’s office. Generally, as long as the doctor chooses the right procedure based on the extent and size of the bunion and the amount of arthritis, an ‘old bunion’ can be fixed without problems. Thank you so much for taking the time to field so many questions. It’s amazing that you are generous enough to do so for complete strangers who don’t even live close enough to be your patients. I have bunions on both my feet. I found a pair of Crocs that were wide enough that I could work an 8 hour shift (on my feet) without pain. I’ve been good for a couple of years, but in the last few weeks, my left bunion has started to hurt more at the surface. It feels like I have a blister forming (like when you get new shoes and it rubs a spot raw), but upon examining the spot, the skin is perfectly intact and unblemished. The bunion has grown larger since the pain began. My toes aren’t too displaced yet. Does this pain I describe make sense? What are your opinions of wearing Crocs? (the real ones, not the generic ones). Hi Kathy. Crocs are great for people with foot pain. I’m not. Big fan. Of their style but sometime ee need to compromise in life. Sometimes when people have bunions that get larger rather acutely it is not the bunion getting bigger but use inflammation at the joint that rubs on the shoes. An antiinflammatory qoften rings down the swellling and pain. Some people get acutely larger bunions from either a ganglion cyst or bursitis right at the joint. See your podiatrist to evaluate for these treatable things without sugery. Unfortuanly, sometime it is the bunion getting worse and requires an injection or surgery. I live in California. I am thinking about having bunion surgery on my left foot first. The x-ray shows it is off position (like 30 degree or so) Not sure if I should do it now. I waited for 10 years already. The pain is intermittent and not severe. It just that I pretty much can only wear tenis shoe daily, and even so, it does have pinch nerve pain every now and then and have to rest my feet frequently. Can’t do exercise that requires tip toe. Would I be able to do any movement on my toe/foot after the surgery? Any advice is greatly appreciated. Thanks. Hello Linda. It’s very hard for me to tell patients when they are ready for surgery. it depends on how much pain you’re in and how much activity you want to do and can’t now. Also, what shoes yr want to wear and can’t. I often tell patients not to wait too long until the joint is destroyed but also it’s a slow process to get there. I know I am not giving you the decision you’re looking for but you need to evaluate what we call ‘quality of life issues’. Apparently I have a bunion and obviously it didn’t just show up suddenly. But I’ve had very little discomfort until about a month ago when it felt like I stepped on a piece of cat food while barefoot. It felt like something crunched under the ball of my foot. Now it hurts all of the time (4-6 resting to 7-9 after activity) It really doesn’t hurt on the side, but directly under the joint at the great toe. Is this classic? Hi Cookie. Google “fracture of sesamoid bone of great toe”. Then go get an X-ray of your foot from your podiatrist. Let us know if that is the pathology. Thank you for your wonderful website. In addition to fairly advanced bunions, I fell down the stairs and suffered an avulsion fracture of my right ankle several years ago. I also have had completely flat feet since I was born. Net result is not bad pain in the bunions (depending on the shoes) but chronic pain from posterior tibial tendonitis. My left ankle just complains as I favor the right. A mess! Is there a doctor that could fix the whole lot of it? Do you have any suggestions as to how to proceed? THANKS! Hi Jean. Posterior tibial tendon pain and dysfunction are very hard to treat. The first line of treatment is orthotics, braces and physcial therapy. When conservative treatments fail, many people live with the pain as the surgery is huge. It usually requires fusing joints in the foot. I reserve these kinds of surgery for the most severe cases of people who cannot walk without excruciating pain. I recommend seeking out a podiatrist or foot and ankle orthopedist that frequently treats these severe cases and does these large foot and ankle surgeries often as many doctors do not perform them. I am 21 years old suffering from relatively severe bunions. 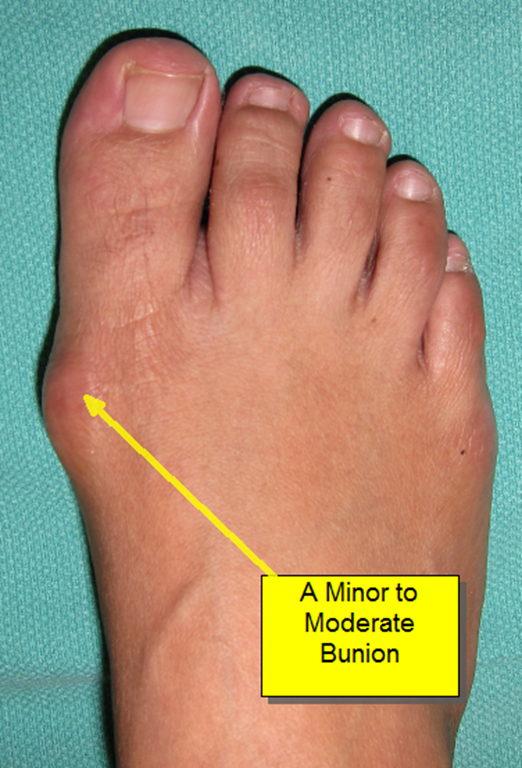 They are worse than the picture “moderate” bunions but not yet as extreme as the “severe picture,” however, as I am only 21 I am greatly concerned. My mother and her mother both have extremely slight bunions (hardly noticeable); my grandmother is 85 years of age and hasn’t had the need for invasive surgery. On the other hand, I experience a great deal of daily pain. As a high performance athlete I was prone to extreme shin splints and other joint pain. I have had an array of custom casted orthodics and try to find wide fitting shoes with proper support like sneakers and Birkenstocks. I don’t find any of these to be helping any more. I have seen a podiatrist twice, once in the past year. He urged me that I had about a 2 year window before I developed arthritis…however, I fear I already have it. I have constant pain (sometimes just an annoying mild/persistant pain) and other times it is more sharp. My feet feel swollen and tight at all times. They are painful whether wearing shoes or barefooted. I know I have flat feet so I assume this is a large contributor. Is there other things I can do for the pain or does surgery seem like the best option at this point? Is waiting 5 years going to affect my chances of a successful surgery or increase the chances of permanent damage such as arthritis? Thanks for all the helpful information on your site. It can be very overwhelming for a young person to try and make an informed decision. Let me start by saying I cant give you definite answers to your questions without an exam and x-rays. It sounds like surgery is your only option. Your doctor is right that you would want to do surgery before the cartilage is gone and the arthritis is too bad requiring you to need a much larger, “joint destructive” procedure. You are also right that your age is a consideration adn there is risk of recurrence over time. use your orthotics as much as possible. Whenever you excercise or know you will be on your feet for long periods or long walks. I tell my patients to wear their ‘cute shoes’ when they must, and shoes with orthotics at all other times. Some orthotics will work in dressier shoes. Ask your podiatrist about a ‘teardrop’ shaped orthotic. Avoid the ‘cobra’ shaped orthotic, it fits well in shoes but it doesnt work (my opinion). Hi Carla. 99% of the time I do not do both feet buninion surgery at once. I had bunion removed plus 2x screws in big toe to straighten, on both my feet almost 3mths ago. It was my decision to do both feet together. Walking is getting better going to physio twice a week). Pre surgery I was in alot of pain for round 18mths. I was taking 2x panadol, 50mg voltaren, and 50mg tramadol 4hrly during the day so I could walk. I am a Rep so was on my feet all day. Surgery went fine and result look great. My prob is I stll have pain, right across the top of my foot and underneath ball of foot. My feet still swell, one in particular. I realize its been a long time since I have walked corectly on my feet. Any idea how long it will take to sort out. After 3hrs on my feet at the moment the pain is prob 6 to 7 out of 10. How long should I be on my feet for until resting them? I’d appreciate your opinion. It is normal to have pain at 3 months. I’m sorry to hear you did both feet at once. A better way to do that would have been to space the surgeries out 2 weeks apart so the first two weeks which are the most critical, you have one better foot to walk on. Your question is impossible to answer without an exam and x-rays to assess heeling. Have read about pain after foot surgery being better controlled with a pain pump for a few days? What are the pro’s and con’s to using this as a pain management system? And what does theis system involve? A pain pump is a device that slowly pumps lidocaine anesthesia into your surgical site. In my oppinion it is overkill for bunion surgery. I guess it could only help with the pain but I strongly feel it is not necessary. I do, however, use a cold compression pump after bunion surgery on my patients. This device is a gel boot that goes in the freezer. It never hardens but stays ice cold. The pump inflates and deflates every thirty seconds. It really helps to reduce pain and swelling after surgery. My patients tell me great things about it. I need bunion surgery of the the big toe and straightening of the baby toe and work as a Registered Nurse in the Psychiatric Emergency room & as a Psychiatric floor nurse. We do a lot of “take downs” and restraints where I work, we also have to lift patients. I am on my feet for almost all of the shift. I am very nervous about having the surgery and getting an injury to my foot by being forced to return to work so quickly before being totally healed. How long could I be out of work for? How long before I could walk around the house without much pain. Also this is great website!!!! This a question for your surgeon for the exact answer, but I will tell you what I would tell my patient. You’re looking at a minimum of four weeks out of work. If you can take six it would be better. This is assuming you have a ‘distal osteotomy’ and not a ‘proximal osteotomy’ for a larger bunion. Ask your doctor which one he/she is planning. Most people are able to walk around the house by day three. Hi I’m 34 years old and I have a bunion I have a lot of pain with it and can’t walk far at all. I went to my GP but he said he wouldn’t want to op on it as I’m young! But the pain is so bad. I was wondering if you could advise me. Could I send a picture of my foot so you could see it? Thank you. I am considering bunion surgery primarily for aesthetic purposes. I have bunions on both feet. From time to time I would experience pain because of the bunions. After reading your blog I see that you don’t recommend surgery if the primary cause for it is not pain. Well, the thing is, my feet are not attractive because of these bunions. I would love to have the surgery, but I am also scared of the possible complications: chronic pain, infection, etc… My mother had bunion surgery and she regretted it. She was in pain for so long after and couldn’t walk. I remember my dad and brother had to carry her up and down the steps. What are your thoughts on all that I have said? Maegan, I always tell people with cosmetic bunion sugery concerns that the risk is more pain after the surgery. You have to walk on your foot vs cosmetic surgery on other parts of the body. If you have bunion pain that is a 5/10 and I make it a 1/10 you’re pretty happy. But, if you go from 0/10 to 1/10 you’re not happy. With that said, it’s not always the case that people have pain after surgery. Is just a risk you take for cosmetics. Hi Dacia. The second surgery most likely will not affect your balance issues, but I would have to evaluate you in person in order to know for sure. Make sure you consult your internist prior to having foot surgery if you had a previous deep vein clot and pulmonary embolism. Chances are you would not have another but you should see your doctor and take precautions. It depends on which surgical procedure you had if you get back to walking st four or more weeks. I can’t comment on your recovery without knowing which proceudre you had performed for you reunion surgery. Many doctors still use the top incision, which is in my opinion, unfortunate. The side incision is much more cosmetic. Thanks so much for your pics! I so wish my feet looked like your before/after pictures. I have a large bunion on my right foot (due to high heels in my younger yrs. i believe) and it’s embarrassing. I live in Georgia; i don’t wear flip flops, and most sandals. I wear closed toe shoes alot. Now all of a sudden, im having pain in my leg; I feel it is due to this HUGE bunion. Ive heard horror stories about the pain. I do not have a huge pain tolerance. Any suggestions on a podiatrist here in Georgia or maybe I can come and be a patient of yours? 🙂 Please advise on the pain situation; i cant seem to get past that. Unfotunately after bunion surgery some people have a lot of pain. There are ways that a surgeon can minimize the post op pain. The surgical technique is important. I do not know anyone in Georgia. Sorry. The only advice I can give is to read the reviews of doctors and find one where many people comment on how they had less pain after surgeyr than they had expected. Hi Ashley. There is little to no bleeding during our foot surgery because we use a tourniquet around the ankle to stop the bleeding. This way, we can see what we are doing better. The tourniquet is like a blod pressure cuff around the ankle. We inflate it to around 250 mmHg. This is much higher than the artery pressure of around 120 mmHg in normal people. You mentioned that it was good not to wait too long to repair bunions related to arthritis. Does the bunion exasperate or increase the severity of any existing arthritis? I have had big toe psi in the joint for several years and bunions that are causing my 2nd toe to be pushed crooked. Is it better to have surgery earlier better than later? Or will surgery cause the exsisting arthritis to be more severe? I have already changed all my shoes for comfort and have pain with running(i was a distance runner, 10 k’s andcross country I. High school, and year round to keep In shape for basketball season.) this was 25 years ago before 5 children and a dairy farm, but I really would love to be able to run again. I found your information very encouraging, wish you practiced close. Do you know any really good foot doctors you could recommend in central Pa.?? Hi Tina. I don’t know any docs near you unfortunately. Bunion surgery should not make arthritis worse usually. The goal is realign the joint in order to slow down the progression of arthritis of stop it. Also, the bunion is what causes the second toe to contract and fixing the bunion will stop the second toe from moving more. At some point the artists gets too bad and the joint will have to be compromised by either removing half of it, fusing it, or replacing it. Hi Linda. An acute bump on top of the bunion is unusual but may be just inflammation from wearing heels or a ganglion that has formed from the shoe pressure and trauma. See a podiatrist for an X-ray and ultrasound and possible MRI. I am 15 years old and I have a bunion on both my feet next to my big toe. I hate it. Its very painful, even though they are small. I am all about appearance. I want it gone, but I don’t want any pain or problems after any surgery either. I would like to stop it while they are small then I would to let them keep getting bigger. It is a genetic problem in my family, so I assume that they will come back. I will have to just take care of them late on. To cut to the chase, how can I make them feel a little better until I can get to a podiatrist. I want something that isn’t going to be noticeable. Hi Neena. Unfotunately, other than surgery, there is no way to get rid of bunions. hey there and thanks for a great and an nformative site. You say that age matters, that you don’t want to perform bunion surgery until the bones are fully grown, but what is the est. age of that? I’m 23 years old with bunions on both feet with great pain and can’t wait to live a pain free life (wearing all the shoes I want!) but I don’t want to do the surgery too early so I have to repeat it by the time I turn 40! Kolbra, at 23 your bones are usually done growing. If you are talking about wearing very high heels I would advise you not to have surgery and consider more sensible shoes. If you are having pain in all shoes then surgeyr may be indicated. The key thing about preventing recurrence of bunions after surgery is to wear custom orthotics to alleviate the abnormal forces that cause the bunions. I am a 73 yo male with a large bunion which causes a very mild numbing on the bottem of the second toe after walking 4 miles. No pain whatsoever. I would like to avoid surgery. Can I continue until moderate pain occurs or will wainting simply create a more riky surgical proceedure and recovery? At your age air your are experiencing only mild pain when walking over four miles I would avoid surgery. The best advice I can give is to wear an accommodative, semi flexible orthotics in a good pair of walking or running shoes. What are the risks of a bunion surgery at age 12. My child has them and is very upset. she also had cp and has several surgeries. She walks on canes or uses a wheelchair. Your situation is very difficult to comment on. With the comorbidities you describe there are much more severe risks than the common patient. Your son / daughter risks complications that could render them unable to walk on the foot after surgery. Please seek out a specialist to evaluate and then get a second and third opinion prior to surgery. Hi doctor, I’m 15 years old and I think I have bunions and tailors bunions on both feet. But I know I have a bunion on my right foot but I’m not sure about my left foot. The only time I have really bad pain with it is when I wear dress shoes for concerts and my marching band shoes and after I excersice for Atleast an hour like in my pe class, otherwise I don’t have very bad pain with it. I also hate that I can’t wear all the pretty shoes like the other girls at school without being embarrassed about it or having pain by it running against my shoe. Should I have surgery on it even though it don’t have terrible pain with it most of the time? Youre asking a very difficult question. You are so young that you risk recurrence of your bunion as some point in your life if you have surgery now. You also risk the chance of arthritis in the joint early in life bc you’ll have abnormal forces on the joint for so many years. Without evaluating you its even harder for me to answer. In general you should wait until you’re older to have surgery if you can tolerate the pain. As for shoe choices. My only advice would be to wear comfortable shoes as much as possible and on occasions when you want ito were cuter shoes, just do it and try to find the least painful oncs you can. Bring a change of shoes in your handbag for when the cute shoes are no longer tolerable. hi ive been to a couple podiatrists and ive been told my bunion is caused from hypermobility in my joint. some of the doctors told me that after surgery i would have to wear orthodics to prevent the bunions from coming back because the joint would still be mobile. one of the doctors suggested a fusion of the joint with a plate and screws and he said the surgery would prevent the bunion from coming back without having to wear orthodics afterwards. is this true? and if it is true, how come the other doctors didnt suggest it? does every doctor just have a preferance? ive tried wearing orthodics before and i couldnt stand them, i really dont want to wear them for the rest of my life. im scared to get surgery if the bunion is just going to come back. i dont know what to do. Every doctor has their own preferences as to which bunion surgery to perform. Some docs just don’t do the bigger procedures which is a problem bc the often do a smaller procedure than the patient needs. The fusion you talked about is indicated when there is excessive motion of the joints and if you don’t do the right procedure you risk not correcting the bunion enough or recurrence. Orthotics are almost always needed after bunion sugery to prevent recurrence. The forces that caused the bunions will still be there after surgery. Orthotics alleviate the forces and prevent recurrence. I hope your survey went well. I always tell patients that bunion surgery is elective and it is their choice if and when to do it. I say that it’s time to do it when you are in pain often, can’t wear the shoes you want to wear, can’t do the activities you want to do and not just for cosmetic reasons. The only time it’s more urgent is when there is arthritis starting and you want definitely want to do it before the arthritis gets to bad. Please post in comments how your surgery turned out. Opps didn’t mean to post yet but I think/hope i am making the right choice! Thank you for all of your helpful information. I am considering having surgery, but don’t want to do so prematurely. I am 33 years old and have had bunions for as long as I can remember. My parents took me to a specialist when I was a teenager, but they said I should wait until I was older. I would say that mine are severe. I have been to two podiatrists as an adult about them and both said I am a good candidate for surgery, and the last one said I should probably not wait more than ten years to do so. My feet hurt almost every day, but not terribly so. Yesterday I wore a pair of dress flats to work and did a lot of walking. I haven’t worn shoes like that in a while, and by the time I got home I had blisters on both bunions, and the joint on my second toe of my right foot was painful and swollen. I have a very busy life right now with two young children, and I know the recovery time will be long, so I thought that I would postpone this for at least 6 or 7 more years. But, now I’m considering making time for this. In severe bunions, what kind of surgery would I have and what would the most likely recovery time be? Also, do you think I should go ahead and have the surgery? What are the risks if I wait? Thank you in advance for your help. Unfortunately, you asked some questions that I cannot answer without seeing you. I can answer in some general terms. The reasons that you describe ARE reasons I tell pateints to have surgery. The reasons to have bunion surgery are: pain that is often or severe, you are unable to wear the shoes you want to wear, progressive arthritis in the joint, rubbing and blisters from sensible shoes, and when you are unable to do the activites you want to, or have to do. The recovery from most types of bunion surgery is not as difficult as you would imagine and when in the hands of the right surgeon, not very painful. I suggest you seek out a good podiatrist to evaluate you and give you his/her opinion on surgery for your bunion. I went to a walk in clinic because I had cut my big toe on the underneath side (where it meets the foot), when I cut it I also bent the toe upwards and had a bruises on the bottom and top of my foot. They took x-rays to see if I broke it, they called today saying I had a bunion. I am very confused because I went to the Podiatrist about 6 months ago and he didn’t mention anything about having a bunion. Here is my question because on the injury could I have dislocated it and it looks like a bunion? If so how can I make sure I am getting the right medical treatment. One either has a bunion or doesn’t. It may be a small bunion but a doctor can tell from looking at your foot and an x-ray to determine. It shouldn’t be a subjective decision. If it’s not bothering you beware of any doctor that advises you to have surgery. If there is a bunion, wearing custom molded orthotics should prevent or slow it down from getting bigger. It would be almost impossible to create a bunion from an injury like a cut as you described. hello im 15 and i have bunions on both my feet. i was wondering if i can have surgery on it to remove it without any complicatins and also no one else has it in my family only me. also it doesnt hurt at all but its really ugly and i want it gone ! No doctor will tell you that you can have bunion surgery, or any surgery, without the possibility of complications. Sometimes people get bunions without a family history of them but a vast majority of the time bunins do run in the family. The hereditary part is the structure of your bones. Having bunion surgery at such a young age is not advisable if they don’t hurt. At some point in the future you may require surgery for pain or if there is arthritis starting in the joints. Hi Dr Silver, I’m so glad I found your site. It is very informative and the comments/questions are also. I really knew nothing of bunions until I noticed my step-daughters feet change when she was about 12yrs old. My husbands family has this diformity so it wasn’t surprising. We checked with her pediatrician and he advised to wait until she was older. She is now 18 and for the last year she has complained of pain with them. We bought her the bunion “brace” and the toe socks that will seperate the toes but she usually wont wear them. What other non-surgical remidies would you recomend? Hi Mary, thanks for the nice words. Those otc remedies you mentioned don’t work. Toe spacers and braces will never move the toes back and help with bunions. Bunion shields help to relieve some shoe pressure but thats all. There is nothing besides surgery that will get rid of bunions. Non-surgical treatment of bunions includes a few things, some obvious, and others not so obvious. We often treat the symptoms of bunions which are pain and inflammation with anti-inflammtories. This can be pills, injections, icing, and physical therapy. The only way to slow down or stop the progression of bunions getting bigger is orthotics in the shoes. Some people can get away with over the counter insoles you buy in the pharmacy or running shoe stores, but a majority of people require custom molded orthotics made by a podiatrist. Will the bunion recur after surgery? What’s the chances of that and is the chance higher in athletes? I would like to have my bunion corrected as it is starting to hurt when I run too long distances, but 4 weeks of rest sounds debilitating for me. It would be even worse so if the bunion recurs. 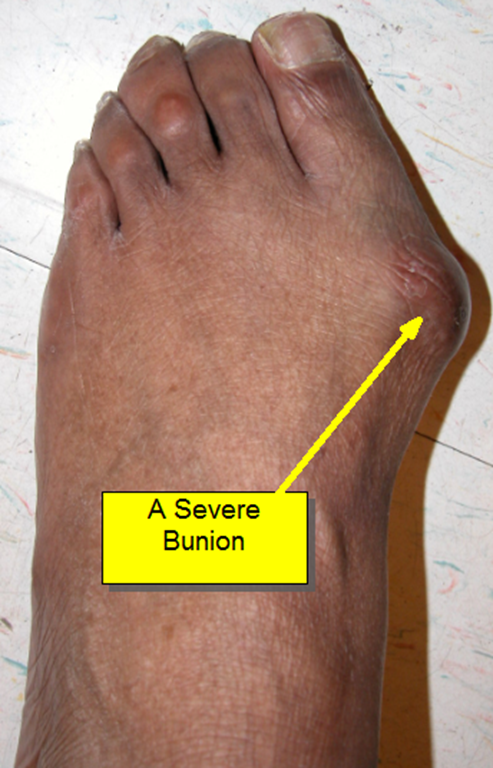 Bunions can recur many years after surgery. The best way to prevent this is to wear custom molded orthotics that alleviate some of the forces that cause bunions. Running, exercising and playing sports definitely contribute to bunion formation. Fortunately, orthotics fit the best in sneakers / athletic shoes. Bunion night splints do not work, unfortunately. Another question that I have is do bunion night splints work? And does running aggravate my bunion injury? Dr removed stitches and said to push and hold to state of discomfort because bone in bottom of foot needs to go up or we’re going to be in trouble. See you in 4 wks. Very concerned about me bending,(damaging) healing done or prevent healing. Seems to me that toe won’t bend any more due to swelling. Can i flex and extend my foot like exercise to keep foot flexable and stretch muscles. I am very scared of self injury due to lack of information. Was told can walk on heal some, but do not put weight on all of foot until I go back in four weeks. Please Advise. If he fused the bones in the toes that are not moving, then you should not be trying to move them. If there was no joint fusions, then just be patient and the motion should return after surgery. Just as I feared p.t. did not help at all, finally after just throwing a fit. Dr agreed that ny big toe not pivoting along with the fact that it wanted to point straight up. He said I had contracture, scar tissue and went back with surgery removed all screws where he said he could see were irritating foot. re-aligned big toe again screw in big toe from side, shaved bone on top of foot put plate and 6crews to allow toe to pivot so I could walk and go to p.t right away. percent better Nov 5 surgery, just before thanksgiving i started feeling stiffness and swelling. went to pt and they only done ultrasound afraid to move, called Dr. on vacation, substitue Dr. had x=rays done. Said everything appears to be fine. So why did I loose so much mobility in my toe 10 percent? Could my dr. have not aligned my foot properly, that toe will not pivot down, it appears to be stuck. feels like if I would bend toe down it needs to pop in place? Please help I have been in this recliner since July? I have to go to work. of the time. I would really appreciate any help as I love to be active and love beautiful shoes! The later has become a painful experience. I’m glad you found my blog helpful and educational. Unfortunately, I do not know any podiatrists in Little Rock. Thanks for the great information shared on this site. While the x-ray shows that the big toe on my left foot is out of alignment more than my right foot; the left physically looks better(slight bunion)and there’s not even the slightest noteable pain. I stand on my feet almost all day at work, and plan to take 4 weeks off after my surgery. Although my doctor has discouraged it, I reeeeaallly want to have both feet done at the same time. myself to the fact that having them done separately is the smarter thing to do. I guess the biggest advantage is “to have one good foot to balance on?” Thanks for the enlightenment. Thanks of the great detailed comment! I love to hear you are considering doing the two feet at differnt times due to reading my recommendations to others. I wish you the best with your foot surgery. Let us know in the future how everything went here in comments. I am a 31 year old woman who has a more confusing problem than others here. My bunion is not due to wearing high heels but to overpronation. I saw an NHS podiatrist who looked at my foot mechanics and concluded that I walked from the front of my foot to the back while normal people walk from the back to the front. She also asked if I had worn leg braces as a child, i did not. She said I have Hallux rigidus in the left great toe and a bunion on the right. The bunion looks like a moderate one. My problem is that even when resting especially in the night, I have pain in both great toes usually in the joint nearest the top of the great toes but lately my right foot has been extremely unbearably painful where the bunion is. Movement on that side has become painful when i walk, it’s painful when I put on shoes, painful if I play Badminton and painful when I do nothing. Massage doesn’t help. I have orthotics from the podiatrist but admit I dont always wear the type of shoes they can fit into preferring to wear ballet flats, sandals and low heeled boots. I was advised to wear trainers which just do not suit my personal tastes and look more like work out footwear. The orthotics also exacerbate the pain in the right foot around the bunion. I am now suffering referred pain on the bone at the top of the foot. Since overpronation is the root of the problem, I’m guessing bunion surgery would not help me. What can I do as the pain is not tolerable at all. Would a night splint correct it or alleviate the pain? You are right, your condition is different that most people’s. I have trouble enough commenting on people with routine problems without an exam and X-rays, but your situation is even. More difficulty to comment on. Wish I could help online, but your situation would require a consultation in person. My daughter is 17 and has had a bunion on her right root since she was twelve. It started bothering her 2.5 years ago, and I took her to a orthopedic surgeon who specializes in non surgery foot and ankle, who basically said she need surgery. I was not interested at the time, so she has been wearing toe spacers, inserts, and taking advil/aleve for pain. She has been experiencing alot of pain over the past six months, so I have taken her to two other surgeons (both with foot specialities). My problem is they offered two different solutions. She has a mild to moderate bunion. Both did say to use surgery as a last option, until the pain interrupts with her ability to function normally, which is has (she is active and plays varsity golf and tennis). The 1st doctor suggested shaving the bone, breaking the toe in order to realign it and stabilizing it with a plastic screw, then “adjusting” the ligaments to allow the toe to align correctly. The 2nd doctor thought that simply shaving the bone and the making a slight break to align the toe was the best option, as she is young and the likelihood of having a reoccurrence is good, so better to do something less invasive now. The 2nd option has a shorter recovery time, but I am concerned about just putting off something that will have to be done eventually. So, I would really appreciate your opinion on which would be the best route to go at this time. Your daughter is very young for bunion surgery but if it is affecting her life it may be time to consider surgjust like your doctors said. Unfortunately, I cannot comment on your specific case as I would need to see X-rays at minimum and possible do a physcial exam. Generally, I agree that you should do as little as possible surgically but enough that it alleviates the symptoms. Doing a smaller surgery that doesn’t ellimante the symptoms doesn’t make sense. Most of the time shaving the bump doesn’t work but for some people it is enough. Sorry cant be more specific in your case. I had a tailers bunionectomy & 3 hammertoes done on June 1st 2012 and the bones still are not touching and healing. My doctor did not put a pin or secrew in it….should I have a pin put in now? I have been in an aircast for 3 months and still have pain and swelling. I would need to see an X-ray to determine your condition. I am not sure which procedures you had done. Some tailors bunion surgeries do not require pins or screws. It the bone was cut and moved, called a metatarsal osteotomy, then a pin or screw or some other interaln fixation should have been used. Email me an X-ray if you can if you want me to make a recommendation. Alternatively, go to another podiatrst for a second opinion. I can’t tell you to have surgery or not without seeing you, but I can generalize. If you’ve had bunions for 45+ years, there is a good chance you have some arthritis in the joint and at some point surgery becomes indicated before the arthritis is so bad that the joint is destroyed. You need to she your podiatrist and have X-rays to make that determination. I found your site to be extremely infomative and thorough. Very helpful. Thanks! This is my issue. I have pretty severe bunions. I’m in my late 20s now and I’ve had them pretty much as long as I can remember. They get fairly painful, particularly at night or when it’s cold or wet or I’ve been extra active…which is problematic because I am very active. I usually wear a silicon bunion cover to alleviate the some of the pain. I would absolutely have corrective surgery to fix this but I have one big concern. I dance competitively (Irish) and practice several hours a week, sometimes several hours a day. I eventually plan to teach as well. The dance shoes are made to fit the foot like a glove and although I often use practice sneakers, I cannot always avoid the tight dance shoes. Am I correct in my assumption that this could cause the bunions to come back? Also, would surgery affect my ability to dance in the future, in terms of range of motion, ability to jump, etc? I would appriciate your thoughts on the matter. Yours is a difficult case. Being a professional dancer and having dance your potential source of income teaching you have more to risk having surgery than most people. I am not able to comment without seeing you but I’ll give you some generalizations. First, it would likely be three to six months before you are back to a advanced level of dance with the smaller type of bunion surgery. Since you described your bunions as severe, they would probably need the larger type of bunion surgery. This usually means six to twelve weeks of non weight bearing with crutches. Then it would be six to twelve months before you are back to an advanced level of dance. Any time we do bunion surgery this the risk of joint stiffness after surgery. We expect six to twelve months of stiffness with every surgery while the scar tissue, induration, is present. Sometimes we get complications of permanent stiffness. For most people the stiffness is not bad but for a professional dancer it may have more consequences. Hello there! You’ve a very nice and informative site. I’m 32, have had bunions (on both feet) since about the age of ten or eleven, and from the pictures, they might be of the minor/moderate sort. I don’t have too much pain usually. However when I do, it’s usually at night, only my left foot, and the vein that runs over my bunion throbs horribly. I usually try to elevate it for a bit, and put a little pressure around it, or massage my calf, but it only alleviates the pain for a minute, and it comes back again. It’s extremely painful. Just looking for some input, I sure appreciate it! 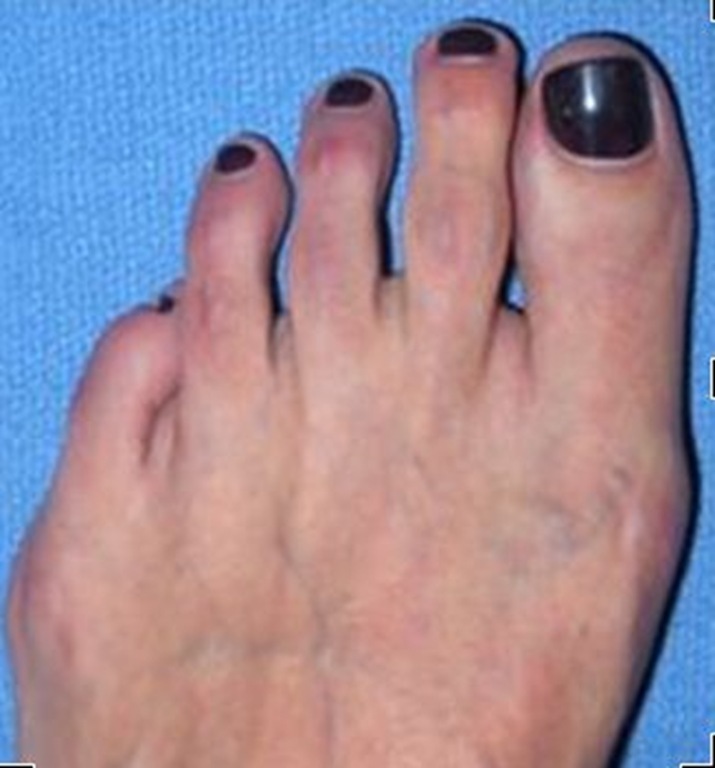 Throbbing is often a sign of bursitis of the bunion. Google bursities for a definition if you need. When people come in with bursitis, or even just inflammation of the joint which you may have too, I often try a well placed steroid injection into the joint or bursa, or both. This often relieves the pain for a long time and sometimes years. It’s worth a try before undergoing bunion surgery at your age. Hi! I am 19 years old and have bunions/tailors bunions on both feet, one foot being a bit more severe than the other. However, both affect my everyday lifestyle as far as footwear and general comfort. My shoes develop holes over time where the bone juts out and I often take off my shoes at night to find that I have blisters in all four areas of concern. Do you think surgery is necessary in this case? And, as far as cost goes… with insurance, how much would I expect to pay out of pocket? Thanks!! You’re so young to have bunions big enough to create holes in your shoes. I don’t like doing bunion surgery on such young patients because you have s long in your life for the buions to come back at some point in the future. However, if your bunions and tailors bunions are affecting your quali of life, it may be necessary to do surgery so young. I’d have to see you to comment on if I recommend foot surgery or not. As for costs, every insruance plan is different. When patients come in, we always check their benefits and can usually accurately assess what out of pocket expenses you would have. I just had bunion surgery and am having lots of pain and was wondering if that is normal. I was prescribed demerol and that helps a little but is still painful. I was on loratab but was prescribed demerol after the loratab wasn’t strong enough, they also had to renumb my foot because it hurt so badly. Is their any way to relieve the pain more, i put ice behind the knee and that seems to help as well. and also is bruising normal on my big toe? any insight on this is very appreciated. Oral Demerol is less strong than lortab when taken by mouth. Demerol is great by injection but does not work well orally. I’ve never “re-numbed” a foot before after surgery and I’m not sure exactly what you mean by it. Injected the foot in the recovery room or after you left the surgery center? The best place for ice is right on the surgical site while being careful to keep the bandage dry. Hope you’re having a better time with your recovery now. I had Surgery on both feet on july 11 everything went fine except for the horrible scars that are very wide and thick,i also have screws on both toes,both feet, and my second toes on both feet seem to be arched up, not flat to the ground like normal toes and one, still wants to climb on the big toe is this because of the screws? is this normal i sure wish i lived close to you. Hard for me to answer without an exam. Often when there is swelling the toes are not perfectly straight at first after surgery. Once the swelling goes down you can better see where the toes will end up. I am 62 years old with a severe bunion on my left foot and a moderate bunion on my right foot. I have NO pain which the doctor said was hard to imagine! I also have Taylor bunions on both feet. I can jog and work out on an elliptical machine. I feel I should have surgery yet everyone says I should not have surgery since I have no pain. So, my question is, should I have surgery anyway because as I understand it, they will just be getting worse and worse. I am a professor and stand a lot on my feet. I also run up and down the stairs every day as my classes are on 3 different floors. I refuse to take the elevator so I can get the exercise. I recently wrote a blog post on when to have surgery if you are not having pain. The link is here: should I have bunion surgery if I don’t have pain? Basically I only advocate bunion surgery without pain when the joint arthritis is progressing to e point where it may become joint destructive. If you still have questions after reading that post let me know. Hi Dr. Silver, I went back for a follow-up two weeks ago, in the X-ray the second toe on my left foot was still crooked and my doctor told attributed it to adema. I told him about my concern for my second toes and he said they were “floating”. My feet have always been naturally chubby and wide and I have had morton’s toe, and to me they do not look swollen and that shouldn’t cause them to remain above the ground 3 months post surgery. Because I am concerned I think I am going to get a second opinion. I have a feeling that the screws are keeping my toes this way, but since I am not an expert I will wait for another opinion. Thank you very much for your reply, I am very appreciative. My daughter is 9 years old and has big bunions on both feet. I noticed them starting about 2-3 years ago and asked her pediatrician, but was told that nothing could be done until she was older. After visiting the podiatrist recently and seeing her xrays I am in shock. The doctor said he has not seen bunions this large in someone so young. She is also starting to develop hammertoes. The doctor is making her orthotics to hopefully prevent it from getting worse. He says it is at least 15 degrees in both feet and is taking the xrays to consult with a colleague. Looking at the weight bearing xrays he says she has a high arch, which I assume is a good thing. He also stated that in the side view xray it looks like the cartliage in her joint is not present on the left foot and the joint is actually overlapping. Should we be doing anything else at this point? I was also wondering if you could refer someone in the Baltimore area that you think would be the best doctor for her. I cannot send the xrays as the doctor has them but as soon as I get a copy I would love to get your opinion. Hello Dr. Silverberg, Years ago I severely injured my big toe by bending it forward while running off a curb. I had an X ray done, but there was nothing they could do for the big toe, so it healed crooked. Jumping and running made my toe hurt and swell, it I work outside or use a shovel my toe gets red and swells sometimes. My great toe is slightly twisted and slightly inward causing the other toes to feel cramped. General Practioners call it a bunion, so I am getting surgery only because of the uncomfortableness of my foot in general. My question is my podiatrist is going to use a metal pin,will this restrict movement or cause pain all my life? I am going to ask about absorbable screws or pin also. In addition, I only wear flat tennis shoes or sandals, my balance is not good enough to wear heels. Hi Dr. Silverberg. I had a Chevron bunionectomy with osteotomy. It has been one month post op. My bone has almost completly fused back together. However, my only concern is the fact that my foot will be bandaged for a total of 5 weeks. Of course to reduce swelling and help healing. But with that said, I can feel my muscles and bones squish together. I slipped in my bathroom this morning and put minor pressure on my whole foot. When my foot went flat, i thoigh my toes and heel was going to pop off, let alone the squeezing from the bandage around my foot. So my question finally is, will my foot still feel squished after I am put into a walking air boot? will it be bandaged again even if my stitches have been out for 10 days and he rebandaged it with steri strips? thank you again for your advice. I had bunion surgery September 27, 2012 and had very little pain post op. the problem I am having now is tight calf muscles and pain in my instep but not my toe. I almost feel like I have tendinitis in my foot. Is this a typical post op symptom? Hi Dr. Silver. I have a bunion on my right foot that doesn’t hurt. I am wearing these spacers called correct toes everyday and sometimes when I exercise I use vibram fingers. I want to know if my bunions grow over time, and is it okay for me to skateboard? Thank you for the very useful information on bunion surgery. I have very severe bunions my self on both my feet with the right one being worse. I do feel pain especially in summer when I have to walk a lot but not so much during the winters. I am thinking of doing a surgery on both my feet and I would like to do it at the same time. I would just like to know if it is advisable to do the surgery on both my feet at the same time. also will I be able to walk on my heels after I have operated both my feet. I have desk job with less movement but I have to climb a flight of about 60 stairs. Firstly, thanks for such an informative site. I wish you were in Tasmania! I am 54 with a small/moderate bunion on left foot. While it does not impact the second toe I do experience pain when wearing shoes and occasionally even when not wearing them! Additionally I sometimes experience inflammation as well as ongoing reduced sensation around the bunion. I am happy to have it removed now, is this ok without having tried “sensible” shoes with orthotics first? Hi recently had bunion surgery 20 December 2012 and went to clinic yesterday (19 Feb 2013) and was given Toe Alignment Splint to be worn day and night for 6 weeks when he will review it. My big toe is leaning back to how it was in the first place. I have screws in place with a scar inbetween my big toe and next toe and scar where the bunion was. This appeara very swollen and not at all straight. I had my other bunion done 20 years ago with the removal of the bone and didnt have these problems then. Is this usual in your opinion as the doctor said he will review it again in 6 weeks and may have to correct it. Very disappointed with the outcome and concerned I may have to have more surgery. I would very much like your comments on my problem and thank you so much in anticipation of your reply. My 13 year old daughter has a bunion on both feet (since age 10… appox.) she has recently developed a hard bump on her forefoot which is painful after any activity. My daughter is very active in sports, she experiences pain regularly. The pain is in the area of the bunions as well as the bump on her forefoot. X-rays and ultra sounds are inconclusive, the report only states she has a bunion. Our GP has suggested orthotics, which she already wears….she has been referred to an orthopedic surgeon. Any ideas? What could we expect? Hi. I had bunion surgery over 2 years now and I still have a huge gap between my big toe and rest of the toes. It seems as if it got bigger. Is that normal? What can I do to correct it? Sometimes it makes it uncomfortable in shoes. I’m only 25 years old and had my right foot done 2years ago. I was told at 14 I would need surgery when I was in my mid twenties to ensure no future pain and a speedy recovery. But my problem lies in scar tissue and screws. it constantly feels like I’m walking on a marble and there’s no tool, massage, or just breaking up of the tissue that will get rid of it for more then 12hrs. My other giant problem is the constant pain where my screws were placed. I had one removed, but the other 2 remain. It constantly feels like there’s massive amounts of pressure on the two bones…like they’re trying to flex with the rest of my foot but the screws are painfully keeping them in place…and its always swollen. I just want to take them out and find a rollfer to take out the scar tissue. When I end up going to another surgeon…what should I trust anymore? I shouldn’t be this young in this much pain. Please help me!! I had Akin bunionectomies on both feet over a year ago with screws put in. I have been in a lot of pain and an mri shows degeneration between medial sesamoids and the metatarsal as well as sclerosis of the medial sesamoid. It appears both medial sesamoids are 20% -30% uncovered post surgery from resecting the medial eminence. Is it normal for surgery to uncover the sesamoids? I would be so grateful. Thank you for your generosity, Dr. Silver. I from Montreal, Ca. and had a bil Chevron procedure three weeks ago. I’ve always gone to the toilet on the operated feet, starting 4 hours after the surgery, Now I am off my feet the whole day and elevate them, with the exception of walking around the house, maybe for 30 mins. a day. Yesterday I started feeling a numbness in the ball of my left foot, as if a sock was rolled inside the skin. I know that the surgery was non-weight bearing, but I was told that as time progressed, I could increase the time I would be on my feet, always walking inside and I never went beyond 30′. I am confused as to how much time I can walk and if the numbness is due to the walking I have done. Thanks. I agree with everyone else that your site is one of the most informative ones I have seen — so I am hoping you can help me, particularly as you seem to be the only podiatrist mentioning a connection between flat feet and bunions. I am a dancer (ex-professional teacher) who unfortunately put off having surgery for many years, but eventually decided it was a necessity because of the combination of the bunion pain, the size of the deformity, and the additional complications that began to develop in my feet (fallen lateral arches, tailor’s bunions, chronic arch pain on walking, particularly from flat shoes). Unfortunately, swapping even my lower heels for flats and continuing to place weight on the balls of my feet while dancing probably contributed to the plantar fascia-type pain in my arches, which started to get bad about a year and a half ago. Because of all of these conditions, I finally decided to have bunion surgery at least initially on my left foot, since the bunion was more pronounced on that foot; we agreed to try injecting the right foot with cortisone as the bunion on that foot was not quite as pronounced. So my bunionectomy was performed 9 weeks ago via the scarf osteotomy procedure (I believe). I had hoped the operation would also correct the 2nd and 3rd toe, which are still stuck together and slanted outward, however it did not. I have obeyed the doctor’s instructions faithfully, and have continued to rest and elevate my foot when it becomes painful and/or swollen. I still occasionally wear the surgical shoe but am otherwise wearing flip-flops, either flat or with a small wedge. What I am concerned about now is that since resuming walking ‘normally’ in flat shoes, I have noticed a hard, painful lump in the arch of my foot right below the big toe on the operated foot, also on the outside left side of my foot. I have also noticed that although the toe seemed very straight immediately following surgery, it now tends to drift back to its former slanted position, and it looks as though there is still a slight bunion there — or it now seems to be roughly matching the milder bunion on the right. This is very alarming as it seems far too soon after the op for the bunion to return or start to regrow! As I have had no guidance or physical therapy to help me regain a healthy posture and/or walking pattern (I have been told previously that my feet tend to roll inwards and then splay out, and that in fact my feet are “too flexible”), I am now wondering whether what you have said means that both the bunions and the arch pain recurring may be related to the flat feet or pressure on my arches from the way I stand and/or walk. If this is so, is there anything at all I can do to stop or correct this? I would hate to think that I have gone through all of the hassle of surgery only to be merely minimally better off — or worse, for things to progressively return to what they were pre-surgery. Do you think physical therapy may help? If not, is there anything else I can do? I have put off returning to dancing because I have not wanted to affect my recovery, but it seems that even doing nothing but resting, walking as necessary and swimming may be having the same impact — and that really is the absolute pits! P.S. I am not sure whether I noticed any comments here about how long to expect post-op swelling — my doc said up to a year, but is that true? At the moment I can only fit my foot comfortably into some wide ballerina flats or flip-flops — even Nikes hurt. Please help!! I had a foot injury and tests revealed a neuroma in the first MTJ (rare) and severe sesamoiditis. However (aside from the pain from the sesamoids and in between the first and second toe web space), I am also experiencing this burning sensation on the side of my left foot (big toe joint are/bunion). I am 35 years old and I dont have gout. It hurts when I weight bear, long periods of walking, and most of my shoes hurt me. I’ve been told that the buning sensation on the side of the foot would not be from the neuroma. I do have very mild bunions (bilaterally) but I am not sure what’s causing this pain. It has been nonstop for months now. Could it be from the bunions even though it is mild? My other foot doesn’t experience this pain. I was always under the impression that bunions were aggravated by certain shoes, etc. I didn’t think it would cause CONSTANT burning pain for months. To top it off, now I am experiencing pain on the back of my heel on the same foot. Do you recommend bunion splints to avoid bunion progression? Any recommendations for the non surgical approach?